Good morning friends! 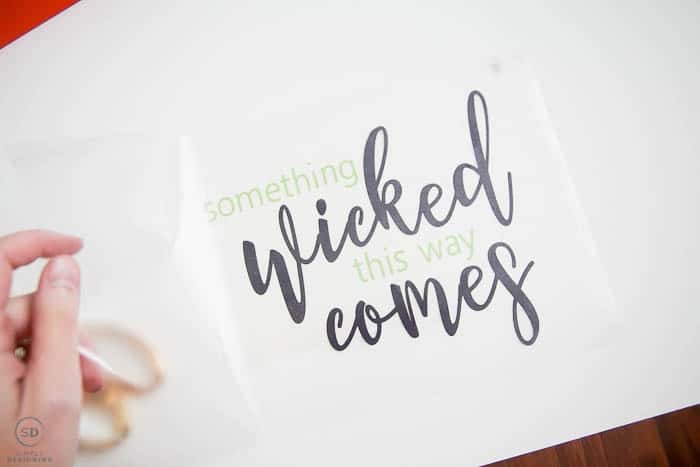 The other day I shared a really fun FREE Halloween print inspired from Shakespeare’s play Macbeth. 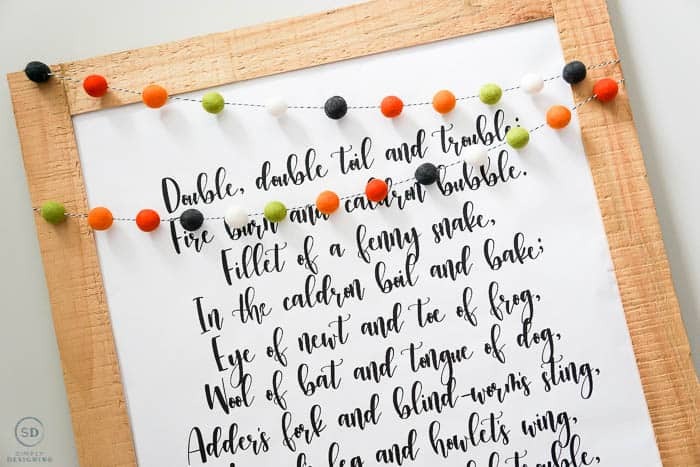 Double Double Toil and Trouble…such a fun and spooky poem and perfect for Halloween decor! You can grab your free Halloween Print HERE. I wanted to create another piece of Halloween art for my home this year, but this time, I wanted some color! 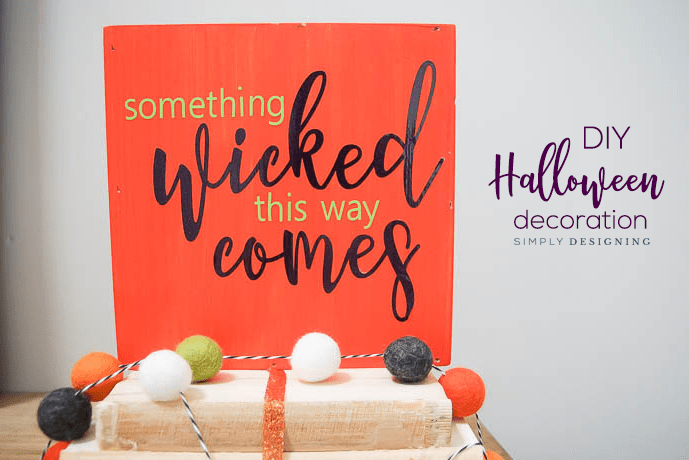 As I brainstormed ideas for this new Halloween decoration, I kept coming back to Macbeth…those witches are just the perfect inspiration for Halloween. 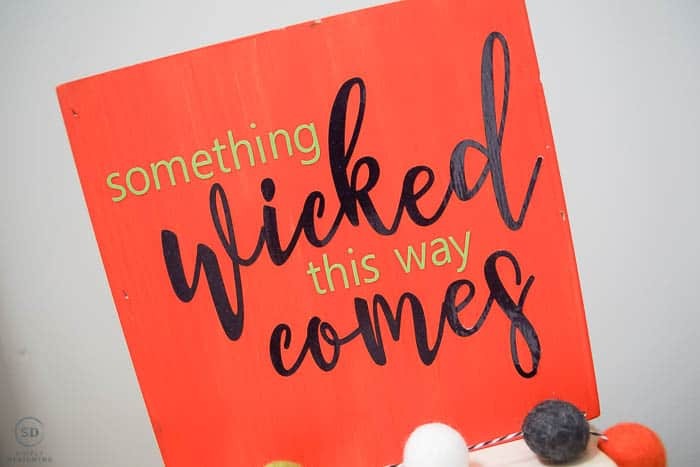 So I decided to use a little wood plaque, paint and vinyl to create an easy DIY Halloween decoration that says : Something Wicked This Way Comes. Oh man I just love Shakespeare! 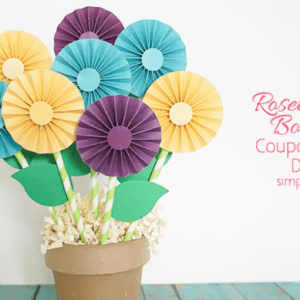 This quote was fun and easy and I am of course sharing the cut file with you today for FREE! Woot woot! So you can snag the FREE Halloween Cut File as either a Silhouette file or an SVG file. The files for download will be at the bottom of the post so keep reading to learn more! 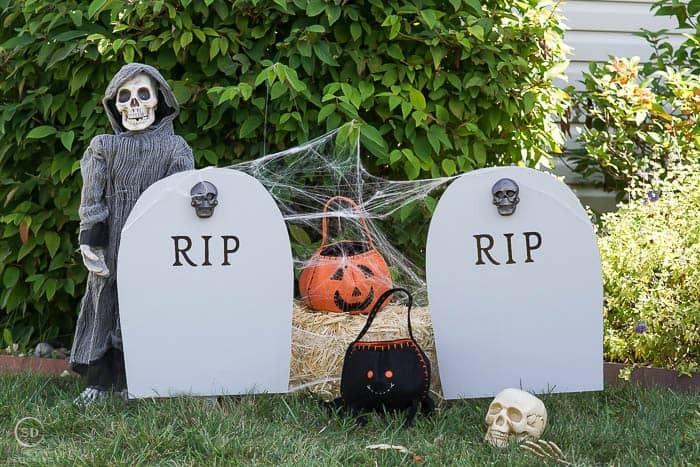 And I really hope you enjoy this easy DIY Halloween Decoration with vinyl that I created this year that you can make too! A big thank you to Expressions Vinyl for sponsoring this post today. 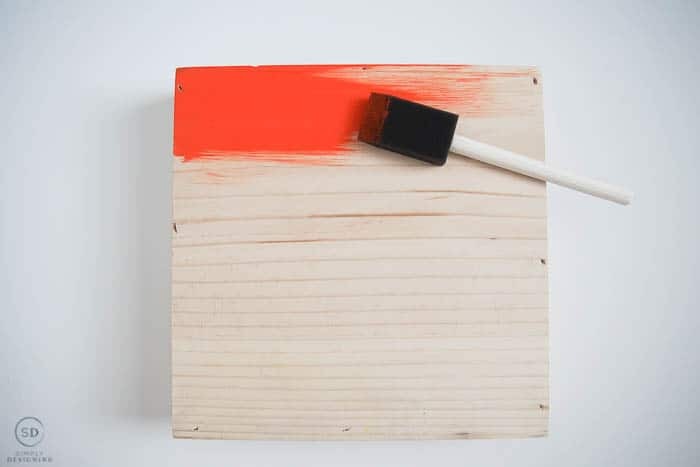 I began by painting my board orange with a foam paint brush. 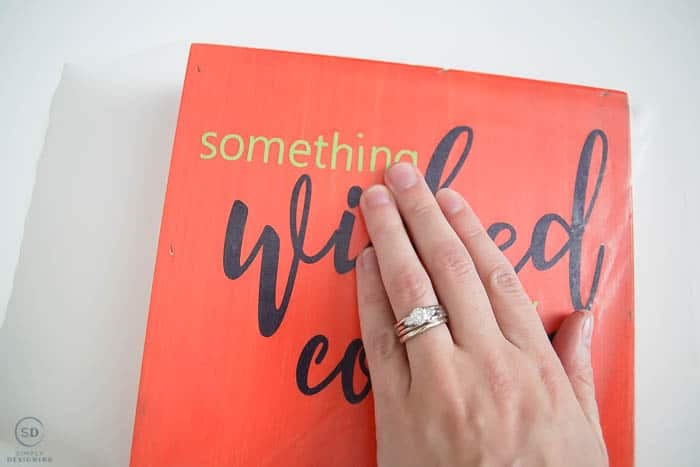 It is important to give the paint plenty of time to dry before applying vinyl to it. After I designed my cut file, I cut it out using two different vinyls. 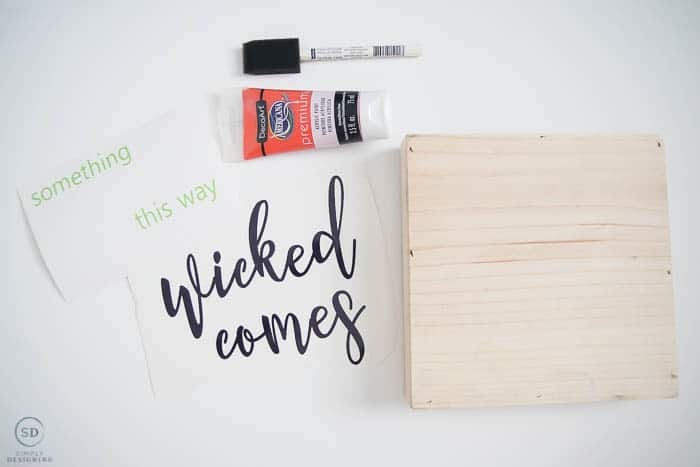 I cut “something” and “this way” out of the green vinyl, and “wicked” and “comes” out of the purple vinyl. Both of these glitter vinyls are gorgeous in person and photos just don’t do it justice. I weeded the vinyl (removed the excess vinyl from the backing paper) and then I used transfer tape to pick up the purple vinyl first and then I removed the backing paper. With the purple vinyl still on the transfer tape, I picked up the green vinyl words onto the same transfer tape. Then I removed the backing paper from this. I ended up with my entire design on one piece of transfer tape. 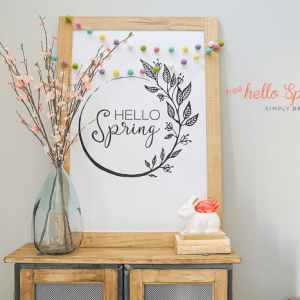 This makes centering the final project super easy as I then had one design to place onto my wood board and rub in place. After my design was centered and I rubbed it down, I removed the transfer tape and my Halloween decoration was complete! 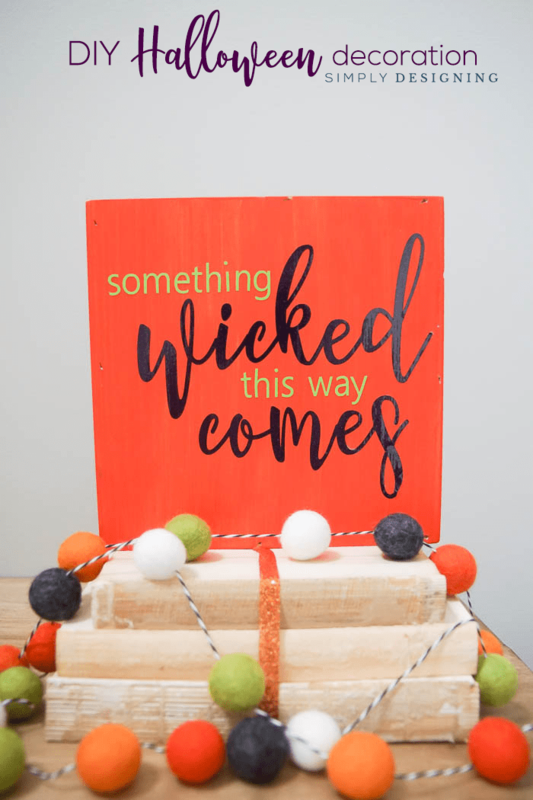 Making this Halloween decoration with vinyl was such a fun and easy DIY Halloween project and I love how bright and sparkly it is in my home! 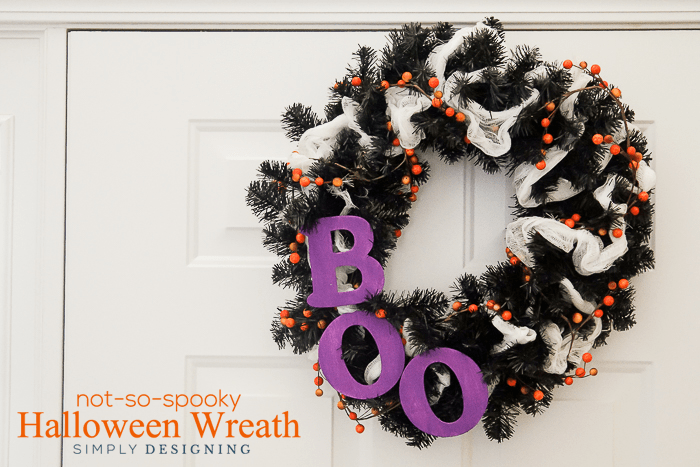 You could easily use something like this as a wreath for your front door, as a plaque inside your home, as a decoration on a mantel…the options are endless! Love simple ideas like this! Thanks for sharing. how do you make those beads or do you buy them? I’ve been seeing them everywhere. These are a wool ball garland I purchased from The Garland Gal on Etsy.